RSC-SCV B2001 White are 2017 Irvine Spring Classic Champions!!! 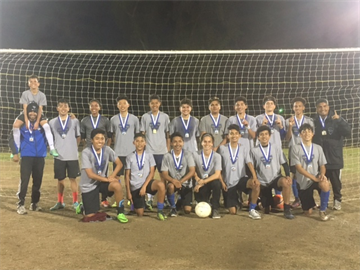 Excellent weekend for the B2001 White, coached by Adonay Jovel and Zack Jens, who landed the championship at the 2017 Irvine Spring Classic! The boys played excellent soccer all weekend and finished with a nerve-wracking 2-1 win in the final against West Coast FC. Congratulations to players and coaches! We are proud of you!! !